Be a trendsetter and rock La Femme 25783 to your next event! 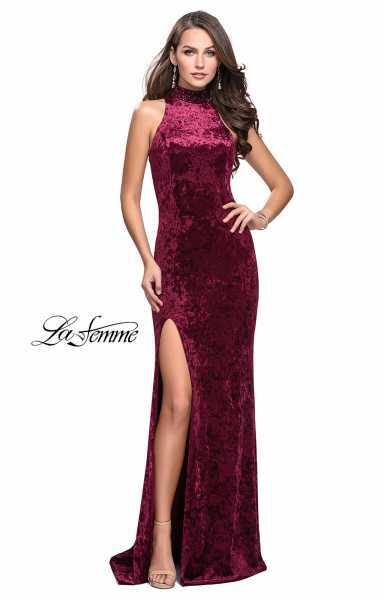 This glamorous formal gown is constructed of a crushed velvet material that will shine as you enter the spotlight. Complete with a thigh high slit and a lower back cutout, this dress is sure to wow the crowd!